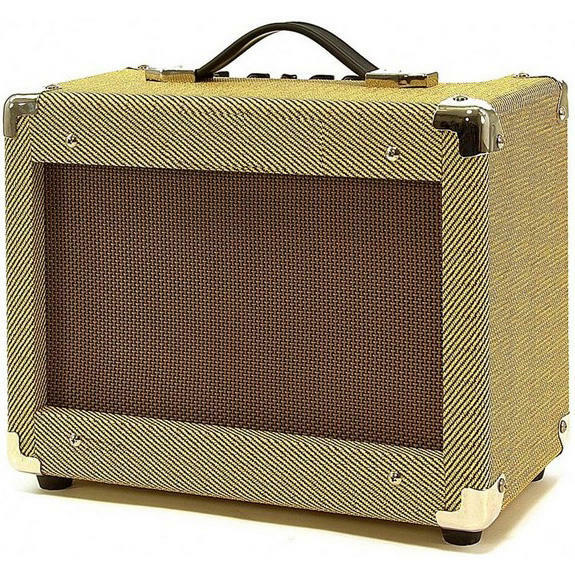 Honkin' Tom's Vintage 15g Tweed Amplifier - get that Chicago tone. Matching deep colourful tone with classic looks straight from the 50's history books, the Vintage 15G amp is the only option for the harmonica player looking to make a statement; sweet clean tones eminate from the vintage design, whilst push the drive setting up and you delve into a rich layers of gain, producing sounds to suit all styles from Chicago blues to classic rock and pop. The onboard 3 band EQ allows you to shape the sound, working the 6.5" speaker to do as you wish. The 15w of power are just that big louder to give you the edge over smaller practice amps. Use your best key harmonica, Hohner, Seydel or a Lee Oskar it doesn't matter, plug in your bullet harp mic, stand back and wail till the cows come home. Would make for a super cool harmonica gift!